March 6 at Sugar Mountain Resort: Richard T. Trundy Memorial Sugar Cup Competition A giant slalom competition for participants with at least an intermediate or above ability level. Proceeds go to the American Cancer Society in memory of Sugar Mountain's former Director of Operations, Richard T. Trundy. THERE'S STILL GOOD SKIING IN THE MOUNTAINS - head for the 4th Annual SkiSoutheast.com / Snowshoe summit an find out for yourself. SkiSoutheast.com and Snowshoe Mountain are teaming up to host a GREAT ski and snowboarding getaway! March 4,5, and 6th and Snowshoe Mountain is offering their fans and members 25% OFF of any two night lodging on the mountain AND a FREE SUNDAY LIFT PASS. Save 25% OFF any lodging and an additional savings of more than $75 per member of your family or group. * * Receive a FREE SUNDAY LIFT PASS for each person lodging with you up to the maximum rated occupancy of your booked unit! 3. A special $9.99 Buffet Breakfast on Saturday morning (regularly $15 per person). These summits are a great way to meet fellow snow lovers and fans of the mountains! To receive these discounts and deals all you have to do is be a member of our SkiNC / SkiSoutheast.com messageboard - and it's FREE AS WELL!!! CLICK HERE TO JOIN US AND SEE MORE INFORMATION ABOUT THE SUMMIT! CARDBOARD BOX DERBY! SNOW VOLLEYBALL! & MORE!!! Feb 27 Head for Blowing Rock NC and Shred for the Cup — Big Air at Appalachian Ski Mountain Shred for the Cup is the premier event series in the region, and is better than ever going into its 5th season. As always, Shred for the Cup is open to Skiers and Snowboarders of all age and ability. Tons of prizes are up for grabs, as well as points for the entire series winners. Get links and details here. February 24 - 25 Fire and Rescue Appreciation Days at Cataloochee Ski Area Cataloochee supports the law enforcement by offering a special reduced rate for law enforcement personnel with valid i.d. and their families. Cataloochee Ski Area is located in Maggie Valley NC. 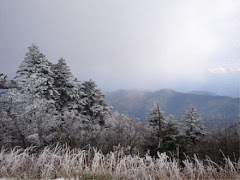 Get details about Cataloochee and all other NC Ski areas. February 26 at Beech Mountain NC the popular 3rd Rail Jam returns! The tour showcases some of the best in snowsports, featuring slopeside graffiti art, a freestyle MC bunker battle, hip-hop music and the winner-takes-all rail jam, the event will take place at 3:00 p.m.
Feb 20 in Maggie Valley NC enjoy special sessions of twilight and night skiing as part of President’s Day Holiday Weekend at Cataloochee Ski Area Holiday rates in effect 2/18/11 - 2/21/11. In addition to our regular twilight and night skiing schedule of Tuesday through Saturday evenings. Outhouse Races - What a Way to Go! February 19 FIFTH ANNUAL OUTHOUSE RACES at Sapphire Valley Ski Area This is an event to raise funds to sponsor ski scholarships for children that don’t have the opportunity to attend our after school ski programs. If you are interested in racing, building or sponsoring an outhouse please call 828.743.1163 for details. Feb 13 BEECH MOUNTAIN NC EOW Boardercross Series Race - 9pm Live Music (free shuttle all night) The entry fee is $15 dollars and contestants may pre-register at Edge of the World or the day of the event from 9am to 12pm in Group Sales. Registration is $15 dollars and is open to all ages. Thursday, February 10, 2011 - The temperature is 22 degrees, it is currently snowing and we plan on making snow this evening. We are expecting several inches from this storm overnight with clearing tomorrow and sunny weekend on tap for this weekend! Skiing will be on 100% of the mountain on 16 out of 16 slopes with three aerial lifts and two conveyor lifts operating on a base of 48-104” and a machine worked surface. On Thursday we will offer three sessions of skiing, day skiing from 9am – 4:30pm, twilight skiing from 1pm until 10pm and night skiing from 6pm until 10pm with an afternoon half day rate available. Cataloochee offers a FREE beginner lesson with all Cataloochee rentals any non-holiday Monday through Thursday, all season long. This free lesson is for 1 1/2 hours and you should be present 30 minutes prior to your chosen lesson time to sign up! Lesson times run 9:30, 11:30, 1:30, 3:30, 5:30 and 7:15pm. In the CCTP Progression Park...24' Down Box, 24' Up/Flat Box, 12' OG Rail, 24' Down Rail w/ Snow Staircase, 16' Battleship Rail, 10' Kid-Friendly Flat Rail, 16' Kid-Friendly Flat Box, 8' Jam Rail, and 18' x 3' Culvert. AND... in the Upper CCTP Park...AN ALL NEW SETUP! along with the 30' Step Down Gap Jump w/ 25' to the knuckle and 5' to the sweet spot! PLUS...new kid's (read that...adults, too!) Fun Jump! Thanks to our rockin' CCTP crew for shakin' up the house and making it happen! February 12 - 13 Sugar Mountain hosts the USSA Slalom and Giant Slalom Competition - a Slalom and giant slalom competition for licensed USSA racers. Juniors 1-6, and Masters. Registration follows USSA procedures. No registrations on race day. 9am start. For details about Sugar Mountain and ALL other NC Mountain Ski Resorts and areas click here. February 11 is Fresh Friday 3 at Appalachian Ski Mountain. Fresh Fridays, as always, will sport a low-key, relaxed jam session format, where riders can hit the new setup as many times as they want, in any order they want, just like a normal day of riding with friends.